MunchyNeko is officially launched! Thank you for all the postcards preorders, we are delighted to see so many positive responses! The postcards will be shipped out very soon! Thank you for the patience and do check out your mailbox! In conjunction with the official launch, we are excited to hold a special contest! The winner gets a set of MunchyNeko postcards as well as a Mystery Gift! 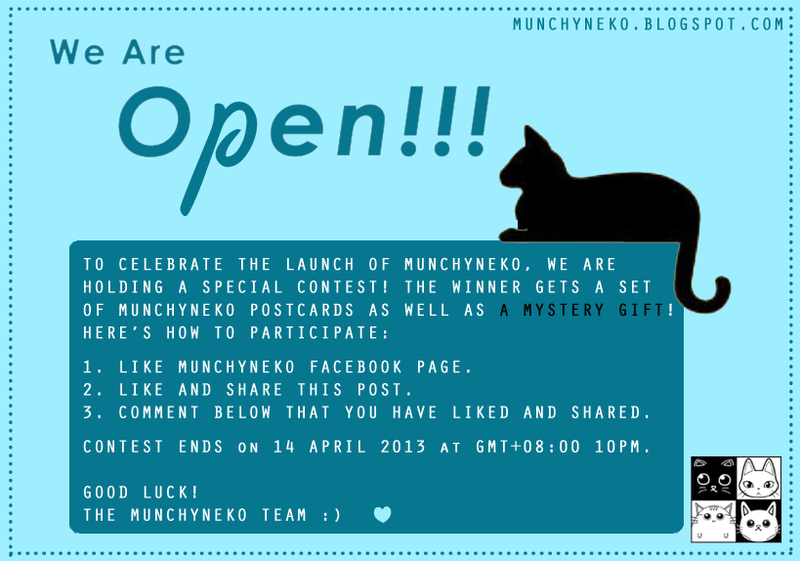 Visit http://facebook.com/munchynekoclub to participate! 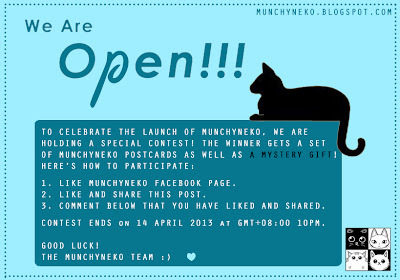 Contest ends on 14 April 2013 at GMT+08:00 10pm. Each person is entitled to one entry only. The winner will be randomly picked and revealed on 15 April 2013.